Postcards Los Angeles, CA : J-n-K Services Inc.
J-n-K Services, Inc. provides the best in class commercial and Postcards, to hundreds of businesses. We are located in Los Angeles and provide our services to local businesses, non-profit entities, private and public schools, in the surrounding Los Angeles areas as well as nationally. We are grateful to all our clients for the glowing referrals and continual business as we celebrate 26 years in the Postcards Los Angeles. When you choose us for all of your Postcards needs in Los Angeles, we will breathe life back into your business when we create a stunning logo, creative brochure and stationary that will engage your potential clients. 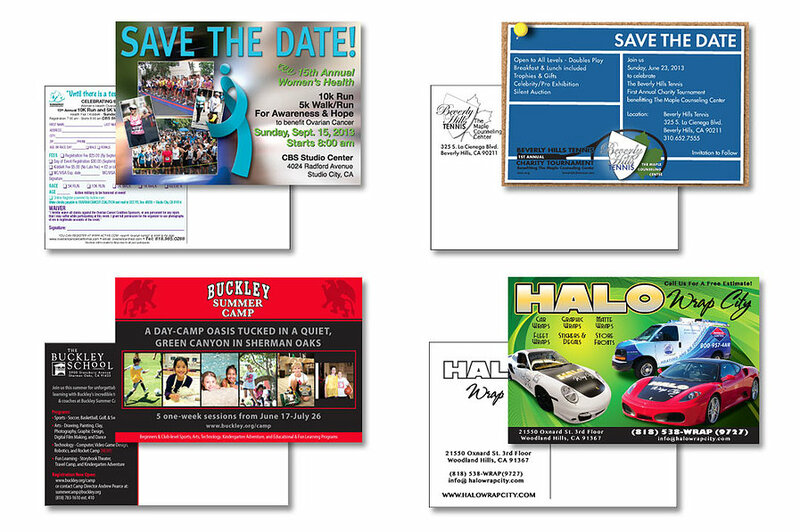 Our Postcards team has first-hand knowledge and experience in creating premium Postcards and impactful marketing materials that will maximize your exposure while minimizing expenses.